I promise in future pieces I will talk about positive things like resilience, building techniques, and so on. In the meantime, you know, bad news first. Like the volatility of the insurance industry. Being centered on statistics and prediction based on the past, the insurance industry is having to revamp the process of risk assessment since natural disasters are changing in nature and intensity at a pretty quick pace. Everyone will be impacted by the industry’s adaptations; after all, we pay a lot to make sure that if our house is damaged, we can afford to rebuild. For economic sectors dealing with climate change impacts, the insurance industry is the “canary in the coal mine.” And it is a huge deal to homeowners. One certainty is that the cost of policies will increase. What is not certain is when and how these will play out. Major insurers are already considering at what point coastal properties will cost more than their value to replace. Will flood insurance make sense? Will actuaries determine that certain geographical locations are simply uninsurable? Swiss Re, a reinsurance company, has published comprehensive research into ongoing catastrophe perils (see: https://www.swissre.com/institute/research/sigma-research/sigma-2019-02.html ). “Coastal flooding will clearly become a bigger issue in the long term,” says Swiss Re, “…we can offer protection for hurricane losses or flood losses or other perils, but if certain coastal areas are so exposed, insurance becomes no longer viable. It becomes even uninsurable.” (WSJ: Climate Change is Forcing the Insurance Industry to Recalculate). It’s a no-brainer that likelihood that flood prone areas won’t be insurable is a profound real estate issue. A person’s home is likely their greatest asset and inability to get insurance would be catastrophic to a homeowner’s net worth. As locations become harder and more expensive to insure, the property values decline. Unfortunately, Miami Beach, Hollywood, Florida, and Ocean City, NJ have the present unpleasant distinction of being at the top of property value loss due to water inundation (Weather Channel). At what point will locations like these become underwater, pardon the pun. Insurers expect the flood insurance market to grow; which is a positive business outcome, but to what extent? As stated above, already some areas are challenging the wisdom of insuring them. So, in the face of these changes, experts agree that coastal property owners will begin, and have begun, to move inland. It’s certain that coastal flooding is causing coastal real estate to decline in value while the cost of insuring increases. That extra cost alone is often enough to sway a buyer against a property, especially as the National Flood Insurance Program faces an extreme overhaul (https://e360.yale.edu/digest/as-risks-rise-an-overhaul-announced-for-federal-flood-insurance) As a buyer agent, part of my responsibilities is to check flood zones to inform buyers about insurance. Presently in North Carolina, the average cost of flood insurance is $370/year per $100,000. Depending on the location in the flood zone the premium may be higher or lower. But the NFIP is 10’s of billions in debt, especially following Harvey in 2017. Hurricane Florence hit coastal North Carolina with whopper flooding and storm surge in an area where only 50% of homes in NFIP areas have flood insurance and in areas where 80% of the homes damaged by flooding were outside of FEMA flood zones (https://thinkprogress.org/many-people-hit-by-hurricane-florence-may-not-have-the-flood-insurance-to-pay-for-damages-ed65e3310ae5/ In 2009, the NC legislature passed a law that would allow for all residents of North Carolina to carry the insurance burden of coastal coverage deficits. I imagine this will be the trend from coastal areas to fire prone areas. So certainly the cost of insuring real estate will increase. Rather than wring our hands, though, let’s put the cost of home ownership in perspective. In 1989, the year we purchased our first home, the average mortgage rate was 10.32 – down from 16.63 in 1981 (not much refinancing going on then!). The average in 2018 was 4.54. This spread more than makes up for higher insurance costs. It does not make up for the rising seas, though. As floods and fires, of the myriad natural disasters, increase, land values will see dramatic changes. What does this mean for demographics? I’ll be looking at that in a future post. Who Has the Deepest Pockets? The “may soon” is actually now. Fiscally conservative Massachusetts Governor Charlie Baker has proposed increasing the transfer tax to a homeowner selling their home.3 In Los Angeles county, “voters approved a measure that taxes property owners for all the impermeable surfaces on their land. Nearly 70 percent of the county’s voters okayed the measure, which charges land owners 2.5 cents for each square foot of their property on which water can’t soak into the ground.” And in 2016, voters in the San Francisco Bay Area approved a yearly parcel tax to fund mitigation for sea level rise.2 These are a few of the proposals nationwide that are putting the cost of CC disaster onto the local municipalities and the homeowner. Clearly, as “under all is the land,” the whole real estate industry is impacted as costs associated with CC continue to rise. Questions to consider include how the population can absorb tax consequences for paying for CC mitigation. Yearly income taxes, property taxes, transfer taxes all add up to the home ownership equation. Other areas impacted by climate change that I will be covering in future blogs are insurance, demographics, climate gentrification, building industry, and migration patterns: not necessarily in that order. Once again, I’d love to hear what you are seeing in the field. “Like” and resond! Who’s Left Holding the Climate Change Bag? We know the headlines: Wild fires rampage, last year’s 100 year flood is outdone by this year’s, the polar vortex keeps showing up, and so on. Common knowledge says these disasters are increasing in numbers and in strength as the earth’s climate changes. The fallout from climate change is vast and probably is nowhere more impactful than in the real estate realm. From the lands we protect to mitigate changes to the ground we build on, climate is the star of the show. And this celebrity isn’t cheap. The issues that surround climate impacts on real estate are as varied as the real estate itself. There are the actual events: flooding in Houston from Hurricane Harvey, the complete destruction of Paradise, CA by wildfire, Hurricane Sandy hitting New Jersey and New York. And, of course, infamous Hurricane Maria, who took out practically the whole island of Puerto Rico. If we add up the estimated number of structures (homes, businesses, etc.) destroyed or damaged from the Carr, Mendocino, Camp, and Woolsey fires in California from last fall, there were approximately 30,000 affected. Hurricane Harvey impacted over 204,000 homes, over three quarters of which had no flood insurance. Sandy destroyed or damaged 650,000 homes in New Jersey and New York alone. And the list goes on. Then there are the changes over time such as severe drought in California and areas of the Southwest, changes in seasonal temperatures and associated weather events, and changes in flora and fauna, for example. Each of these have multi-layered issues which homeowners, municipalities and state governments, the building industry, and the real estate industry must contend with. Additionally, the impact on our national economy is and will be huge. Some things that demand attention include insurance rates, property taxes, housing shortages, housing costs, construction costs, and changes in demographics. What is emerging is a sense that we all are going to shoulder the pain of climate change. Insurance companies can only absorb so much loss and government funds for disaster relief can only go so far. As a result, we’re already seeing referenda and policy change. For example, the nine counties of the San Francisco Bay area are facing a tax increase to cover wetland reparation in order to mitigate ongoing flooding. I’m looking forward to looking deeper into the impact of climate change on the real estate industry. Regardless of where you stand on the topic, one clear fact is we are all impacted and in this together. It’s possible the time for being proactive has passed, but it is not too late to look at creative adaptation as the climate change crisis unfolds. Please send topics you run across that I can talk about in upcoming blogs. It would be very cool to have a dialogue with industry peers! When your mouse is not your friend. Do not “click”, do not respond, do not trust…be paranoid. Seriously. Cyber fraud is big news these days. Unfortunately, it’s everywhere and we’re direct targets. Now that most transactions of any sort are taking place on the internet and through email, it’s crucial to be able to protect yourself against fraud and scams. You don’t necessarily have to be paranoid, but maintaining a skepticism on the back burner of your brain is a good thing. And now is a good time to train your finger to restrain your mouse. Though there are a number of ways a scammer can scam, email tends to be one of the easiest targets because we get so many emails and because so many of us use email. It was an article in RISMedia e-news, “Transacting Business in the Age of Wire Fraud”, that sparked this post’s topic. Recently and increasingly, real estate and other business transactions are at risk of fraud through business email compromise, BEC, or “phishing”. As we watch news articles unfold about hackers getting into political campaigns, credit companies’ databases, and even social sites like Facebook, we might overlook that BEC is the fastest growing international crime, as sited by the FBI. Getting caught by an email scammer is as simple as the click of a mouse or finger on the touchpad and can happen to even the most savvy computer whizzes. My suspicion was raised for a few reasons. The supposed sender was a former client that I hadn’t talked with in a long while; the text began with “RE:” as if it was responding to something I’d sent; also it didn’t makes sense that he didn’t begin with something like, Got A Real Estate Question, which fits his and my relationship. It just didn’t look right and I didn’t click it. “Not clicking” is another mental challenge like the like the desire to be trusting. Those of us who really gotta know what something says have to just get over it! To make sure you don’t feel like a jerk to the person who sent the email, call them or write them a separate email and ask if they sent it. Very easy. Not only will you not offend them, but you might have saved them some headache if they find out their account has been hacked. If it’s business and you’re worried that you should respond, again just call. Do you think that’s a strange note from your doctor? Don’t click the link, just call. As a real estate professional, I can state unequivocally that you should never follow wiring instructions through an email without confirming the email’s legitimacy. People have lost 100’s of thousands of dollars wiring the cash to purchase their new home to what they thought was the right location but actually was a cyberthief. When that happens, 100’s of thousands of dollars are gone and cannot be retrieved. Gone. No new house. The possibility of this happening far outweighs the possibility that you’ve offended someone. Take a look at the sites below and get to know the things you should look out for. And at the very least, Do not “click”, do not respond, do not trust…be paranoid. DO NOT OPEN! Link: the underlined usually bolded and colored data string that when clicked takes you to another location on the web, the two links below are examples. Cyber: relating to or characteristic of the culture of computers and information technology and virtual reality. Otherwise known as “all that stuff out there in space” (my personal definition). Hacker: one who uses computers to gain unauthorized access to data. Asheville Area 2017 Real Estate Market Review…WOW! The Asheville area finished up the year with historic results mimicking much of the country. In general, the S&P CoreLogic Case-Shiller reports that at the end of 2017 the index showed prices equal to those in 2007 right before the market crash. 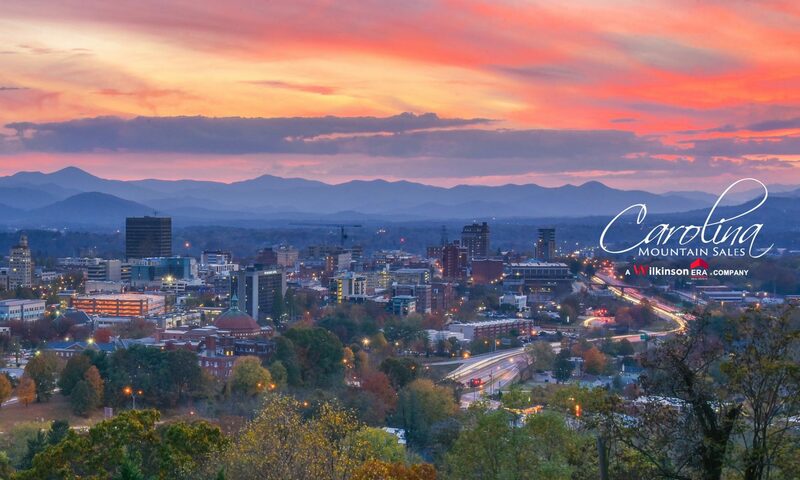 There will likely be a little slowing with possible rate increases and market correction; however, the area is incredibly robust and Buncombe real estate pressures have spilled over into the surrounding areas, with Henderson County showing dramatic price increases. Places to keep an eye on are Canton, Brevard, and Maggie Valley. For better or worse, our sleepy little WNC is more awake than ever! Call us for more information and to talk further about any points. 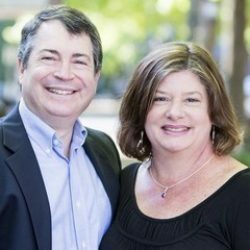 As Top Ten producers in our office, Ben and I truly appreciate helping you and your friends and family have great experiences with their real estate transactions. We’re never too busy for you! We’ve seen things that cannot be unseen. 17 years into this business, I know some crazy stuff that I never would have thought of before. When you’re in high school or college, do you expect to know about the different types of septic systems there are? What about protocol in discovering a marijuana growing operation while showing a home? Certainly every business and occupation has the bizarre element and I’m not devaluing that, just giving some insight into why we brokers need some love! Most people expect their broker to have more knowledge about “property stuff” than they do. But what about insight into septic drainfields and how deep the tanks need to be, or water run-off issues and why cows shouldn’t stand in creeks, or how to spot a meth lab? Though we’re not supposed to be experts, we are expected to have some basic knowledge of overall conditions and about protecting our clients and ourselves from hazardous situations. I have had training to know what to look out for regarding meth labs, dangerous substances and natural growth things in homes (think mold or rotting stuff), and suspected illegal activity. Seriously. One continuing education class covered the signs of a meth operation – pseudoephedrine, spent batteries, lighters. And that class included the ominous information that a meth house is itself poisonous and hazardous to your health if you’re not protected when entering (and we’re supposed to know that?) Sadly, this info came in handy when my buyer and I stumbled across what fit the criteria above in a basement one time. We left. Quickly. Though not all discoveries are dire, many are flat out unique, and some funny. Additional to business hazards and property issues, there are the unique experiences that stick with us. I personally love snakes but I don’t really like surprises. Most days are normal, but some aren’t. I’m not retired from this business and won’t be for a long time so I’m sure that this list will continue to grow, entertain, and dismay. Even now the legalization of marijuana in many states can leave brokers in a bind since not all growing and consumption is legal and we have an obligation to report criminal activity. It’s a fine line that we walk a lot. The prevalence of in-home security cameras is creating a whole new set of laws regarding privacy. What problems will cryptocurrency create? Online hacking is already a problem with wiring funds and such. Again, each job has it’s “thing” just like each person does. It’s just nice to have our clients know that behind the smiling face in the glamour shot is a mind that has seen things the likes of which cannot be unseen! Got a story? Share it with us! GET OUT NOW, er, YESTERDAY! It’s two hours before the closing of the sale. The sellers haven’t packed. Haven’t packed? How? Why? Crazy as this sounds, it happens all too often. My personal experience includes, on the day of closing, sellers frantically giving me groceries from their fridge; a seller giving me a hermit crab he was going to throw away (what else can I do with it, he asks); one couple had to hire an emergency “haul away” company to load up a full flatbed truck of things they ran out of time to pack–Waterford crystal and an Art Deco sideboard among the items. Just hauled off to the junk store. After the closing had occurred. (The same sellers stopped to make some coffee right in the middle of the chaos, meaning of course that the coffee maker wasn’t packed). Meanwhile, the buyers’ movers were on their way and we were going to end up with two households in one, a very messy situation. In all of these cases I had spoken with the sellers each day leading up to the closing asking what they needed. Each time “everything was fine”. Certainly these are extreme cases, but ask any real estate agent if they’ve had the same or similar and you’ll get a resounding “yes”. The most typical situation is that the seller isn’t quite done yet…a few things here and there still waiting to be moved, just enough to hamper the buyer moving in and maybe really irritating them. So why does this happen? “They’re stubborn!” “They’re selfish!” are likely conclusions at the emotional peak of the moment. But, back up a little and maybe the sellers just didn’t plan well. Back up further and maybe the sellers flat out didn’t know how to move, not only how long it takes, but the logistics of packing and getting out. And they’re often too embarrassed to ask for help. Start immediately. The moment you realize you plan to move, start the moving process. Reduce. Get rid of everything you don’t plan to take with you. One great advantage of this is the task of moving becomes less overwhelming. Make a “room list” and include what needs to be done in each room. Give extra time for kitchens and garages. Start packing. Is it summertime? Pack up your winter clothes and toys. Do you have heirloom china you love but never use? Pack it up. And label it! Google “how to pack and move”; there are hundreds of resources on line. WikiHow offers a pretty comprehensive run-down of the process (link below). Be obsessive about time and cost. You really can’t over prepare for a residential move, especially if it has been years since your last move. ASK FOR HELP! Friends love to help friends…before an emergency. There is an unpleasant reality that can come into play if you are not out of the house on time. The moment the new deed is recorded, you no longer own the home, the buyers do. They can legally change the locks or deny you entrance into the home. You are in real danger of losing your possessions or at least getting into a very nasty battle. Just don’t go there. Move in time. Your agent has a lot of resources; use them. Enlist the support of others.